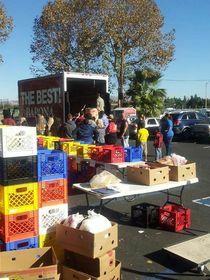 Barona Resort & Casino staff members unload a truck filled with food collected for East County families. SAN DIEGO, CA--(Marketwired - Dec 1, 2014) - Barona Resort & Casino and its 3,000 staff members embraced the season of thanks and giving and collected a truck load of food to help East County families in need. In addition, the casino made a $5,000 cash contribution to the East County Salvation Army. In past years, Barona staff members have donated cash and hosted toy drives for the social services organization. However, because of the great need for food this year, they decided to spear head a food drive instead and collected a truckload's worth of non-perishable food items. The casino has also made contributions for many years. 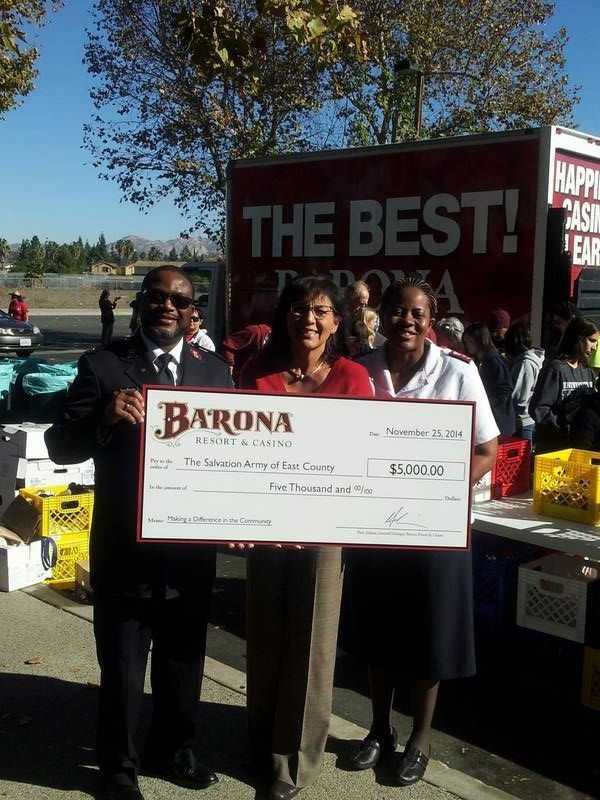 "We are so proud of our Barona team and the positive impact they have in our community," said Rick Salinas, general manager of Barona Resort & Casino. "The food they donated will help local families put food on the table throughout the holiday season."